Why give yourself the expense and stress of leaving your dog behind? 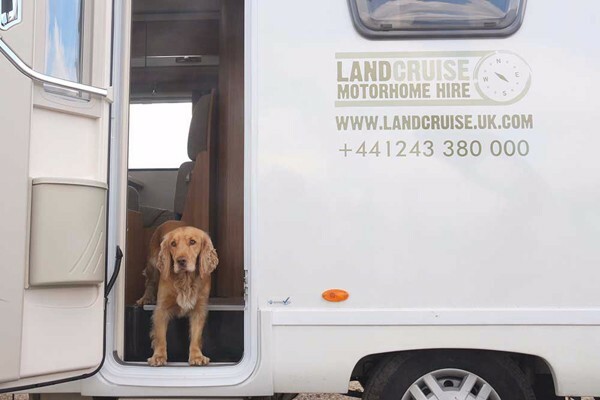 With a Roverhome, LandCruise offers dog friendly motorhome hire to ensure you have a great holiday with ALL the family. 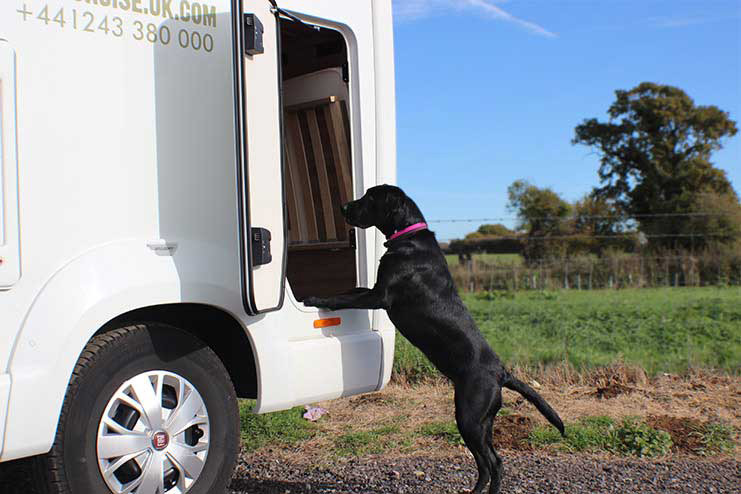 Your dog gets to travel in comfort to some great walkies locations throughout the UK and Europe. 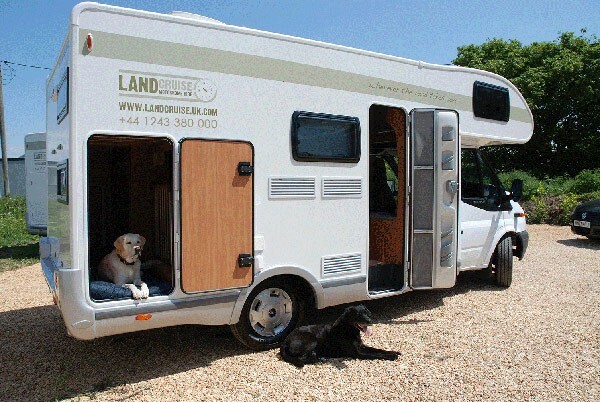 It isn’t always easy to find dog friendly accommodation, but with a Roverhome from LandCruise Motorhome Hire you have the freedom to travel wherever you want – with your dog. There are plenty of campsites that are dog friendly and with dedicated exercise areas. 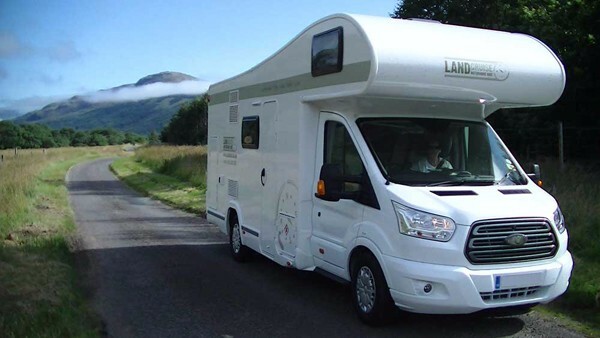 LandCruise Motorhome Hire has a large range of motorhomes reserved especially for dog owners. 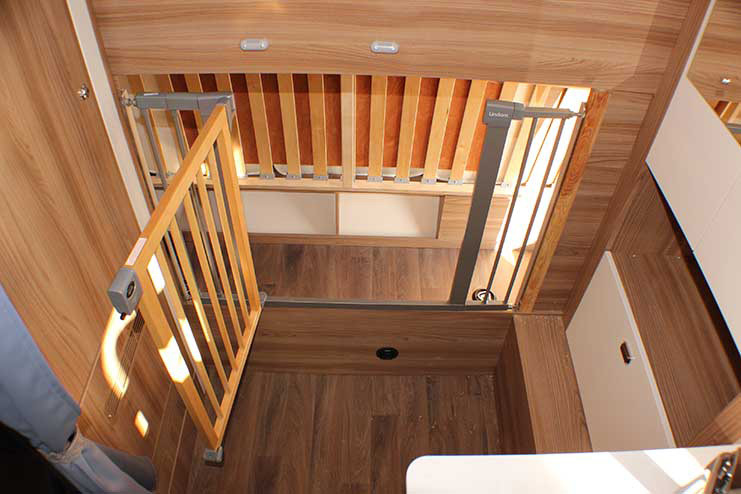 Our exclusive Flash 636 & Escape 695 Roverhomes have been modified to include a dedicated dog area large enough for 2 dogs. 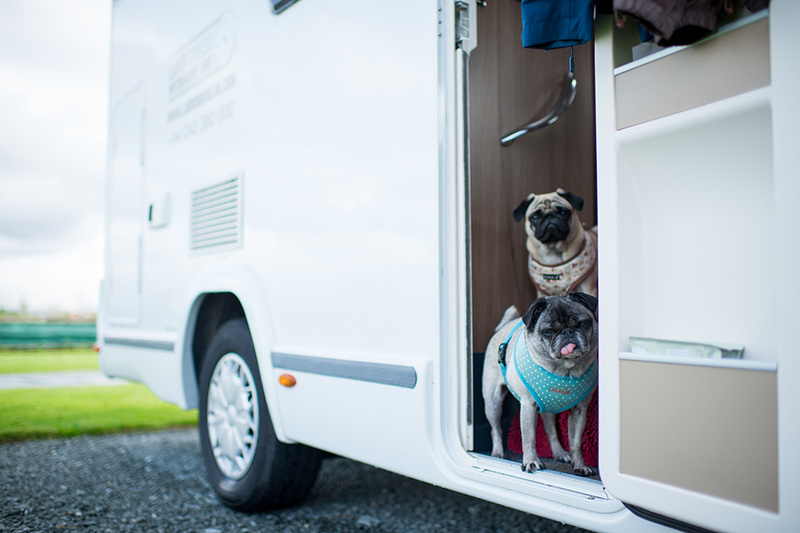 In addition, we have 8 other dog friendly models ranging from a compact 2 berth to a large 7.4 metre 5 berth. 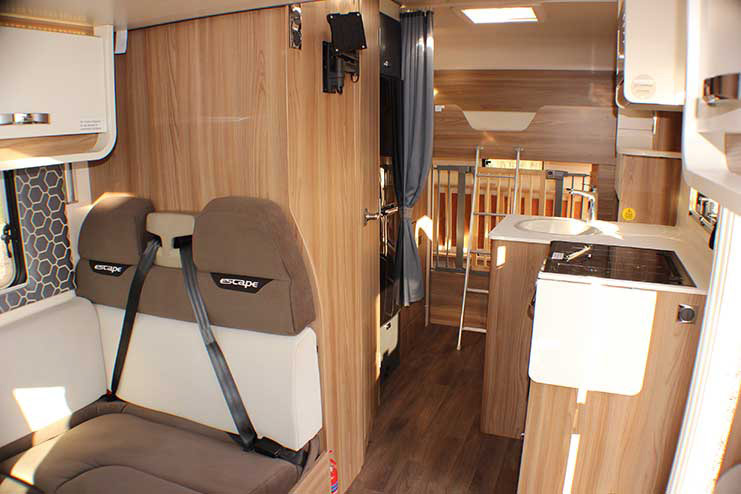 See our web site for more details or pop over to our depot to see all the different motorhomes for yourself. Conveniently located in Chichester, close to the A27 giving easy access to Brighton, the New Forest, Dorset and The West Country. From here you can travel anywhere in the UK or to Europe. Short and long hires are available.